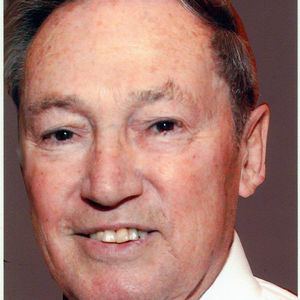 SAMAROTTO, Frank Frank Samarotto, 76, of Windsor, beloved husband of J. Mary (Conte) Samarotto, passed away suddenly at home on Thursday (March 16, 2006). Born in Hartford, son of the late Cristoforo and Assunta (Gado) Samarotto, he had lived in Windsor for the past 44 years. Frank was a U.S. Army veteran, serving during the Korean War, and was employed as a quality control engineer for Pratt & Whitney Aircraft in East Hartford, retiring in 1993. He was a communicant of St. Gabriel Church in Windsor. Besides his wife, he is survived by a son, Michael Samarotto and his wife Tammy of Newington; three daughters, Lynn Samarotto and her partner James McQueeney of Windsor, Kristine and her husband Christopher Calvert of Bloomfield, and Marie and her husband Dana Spring of Pittsfield, MA; nine grandchildren, Jonathan Mason, Nicole Mason and her husband Joel Kurlan, Dan Kegel, Jeffrey Kegel and his partner Sasha Suto, Katherine Spring, Rebecca Spring, Sarah Spring, Christopher Samarotto and Matthew Samarotto; and two great grandchildren, Bree Ann Kegel and Justin Kegel. He is also survived by his father-in-law, Michael Conte of Windsor; and brother-in-law, Ralph Conte and his partner Paul Jacques of Nashua, NH. A Funeral Service will be held on Monday, March 20, 9:45 a.m., from the Carmon Windsor Funeral Home, 807 Bloomfield Ave., Windsor, with a Mass of Christian Burial, 10:30 a.m., at St. Gabriel Church, 379 Broad St., Windsor. Burial, with Military Honors, will follow in Windsor Veterans Memorial Cemetery. His family will receive friends on Sunday, 2-5 p.m., at the funeral home. In lieu of flowers, donations in memory of Frank may be made to Windsor Volunteer Ambulance, PO Box 508, Windsor, CT 06095.